I need your help urgently! Please vote for me. I am so thrilled to announce that I am shortlisted for the BlogAdda Win'15 Awards, India's most prestigious blogging awards - for the second year running, one of only two blogs to be shortlisted a second time (No, I did not win last year LOL). 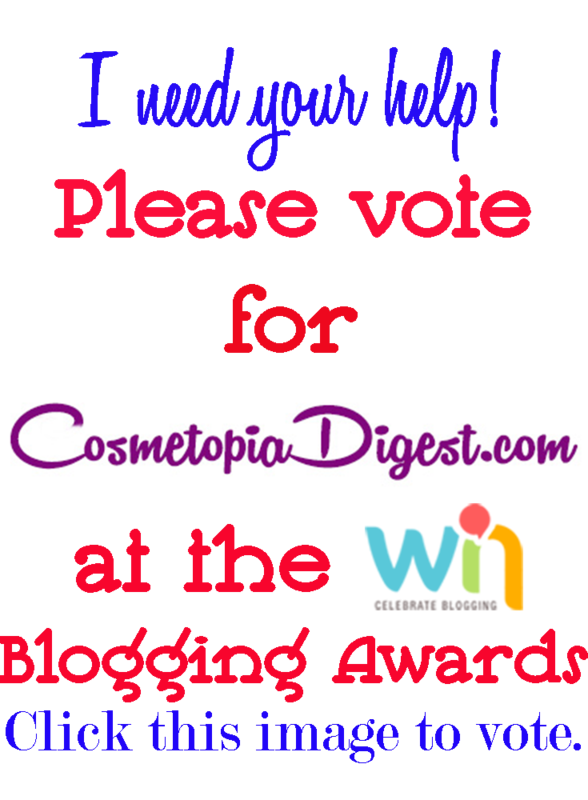 Which means I am among the top ten in the Beauty and Skincare category, but the winner will be chosen based on a mix of votes and jury choices. To be in the running, I need your vote. All you have to do is go to the link here and click the like and tweet buttons and post a comment. I would also appreciate it if you could share the link to your Facebook profiles/social media channels and get your friends/relatives to vote as well. Voting closes on September 13, 2015, and the winner will be announced on September 20 at a national-level blogging conference. I realise that there is a LOT of scope for improvement on this blog, and that I have been lax about posting regularly recently, thanks to a tight schedule and an overload of travelling. But I am grateful to be shortlisted. In fact, this is a huge inspiration to me and I am resolved to post more regularly and improve every aspect of this blog to the best of my ability. Corny-sounding BUT definitely sincere paragraph, that. Thanks SO very much for your continued support of this blog and for your valuable votes.